The Fire Tools debuted during a Toronto Design week exhibit “That is Best Which Works Best” presented by Mjölk. The set is now available for purchase through Mjolk’s Toronto showroom and available internationally via their online shop. The Exhibition won a Best in Show award, and the Fire Tools won a Jurors Choice award as well as a Designlines Loves tag. A series of Tyndall Vessels are also available through Mjolk, and were paired with a backless Shaker bench, and a shaker inspired George Nakashima bench. 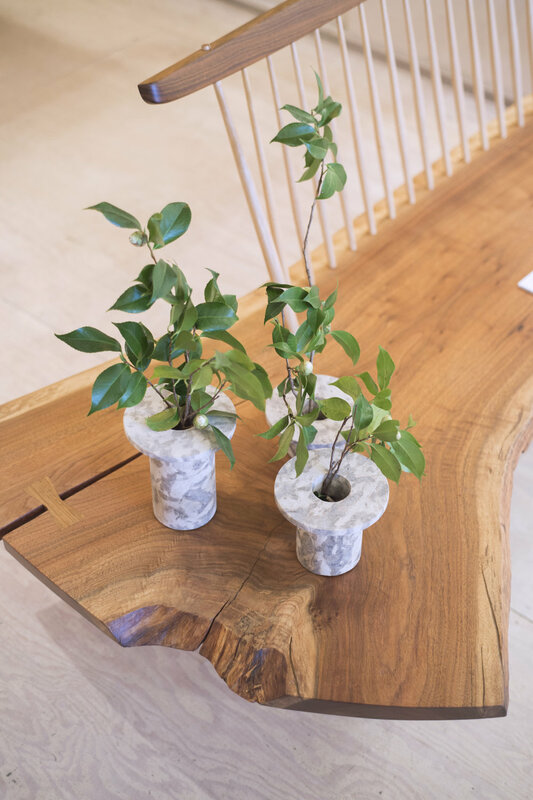 The Fire Tools were showcased alongside a variety of original Shaker antiques curated by Mjolk, as well as original designs by Hallgier Homstvedt, John Baker, and Jason Collett. Read more about the exhibition on Dezeen, Disegno and Mjolk's blog, Remodelista: World's Most Beautiful Fireplace Tools from Mjolk.